1Back by popular demand! We're re-incorporating the three best sellers in this luxurious line powered by MPC™ - micro protein complex... offering a breakthrough alternative in skin rejuvenation to help address the signs of aging including skin elasticity, firmness, fine lines and wrinkles. The specific micro-proteins found in MPC™ are foundational in the nourishment of Collagens I, III and VII, Elastin and Hyaluronic Acid necessary for youthful-looking skin. Helps minimize the appearance of fine lines and wrinkles. Helps to improve the overall feel of skin firmness. Hyaluronic Acid helps provide skin hydration. The intensive anti-oxidant blend of green tea extract, forms of Vitamins C and E, plus melanin, help to defend against free-radical damage. 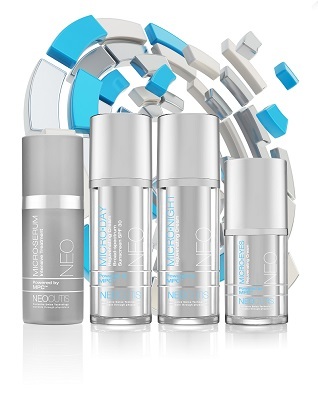 Targets multiple signs of skin aging including fine lines, wrinkles, elasticity and firmness. Delivers essential nourishment to help revitalize and rejuvenate the appearance of skin. Recharges skin while you sleep with essential micro-proteins for firmer, more luminous skin. Moisturizing lipids combined with hydrating glycerin help promote suppleness and smoothness.